I have a smoothie for breakfast almost every morning, so I stock up on a variety of non-dairy milk to always have on hand for smoothies. 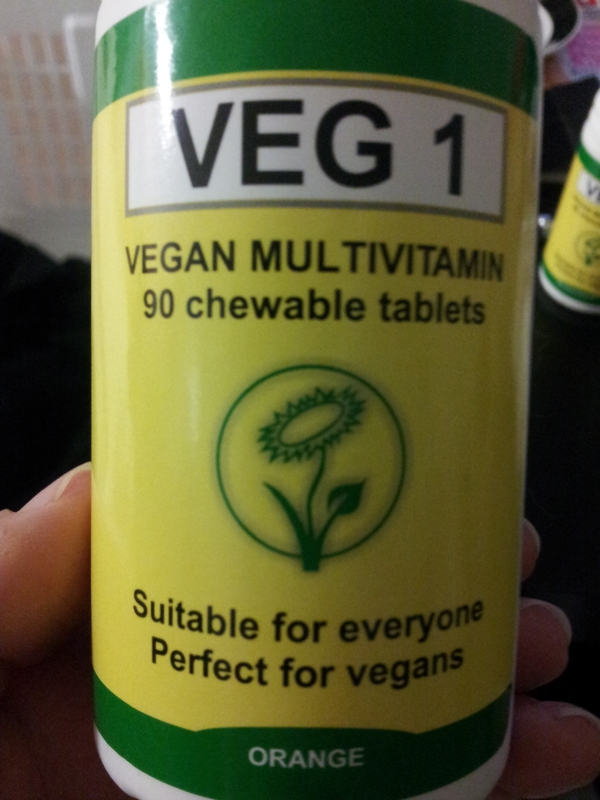 They have a good shelf life so why not stock up, especially when anything goes on sale. I use unsweetened varieties in my smoothies – the fruit is sweet enough, so there is no need to add any sugar. I use the sweetened variety for coffee. 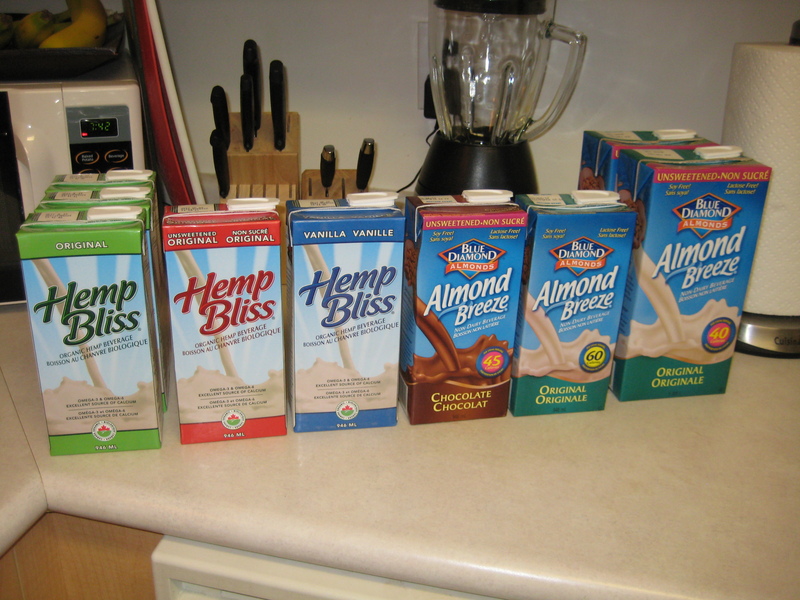 If you’ve never tried Hemp milk it is definitely worth looking into; it has great nutritional content including plenty of calcium, Omega 3’s and 6’s to name a few. When I make a smoothie, I don’t use a recipe. I basically just throw in frozen fruit and whatever else I feel like that morning, and then add enough liquid (non-dairy milk) to make a nice thick consistency smoothie. Start off with a little liquid and keep adding if it’s not blending well due to not having enough liquid. If you’ve never made your own smoothie, you get the hang of it after making a few. 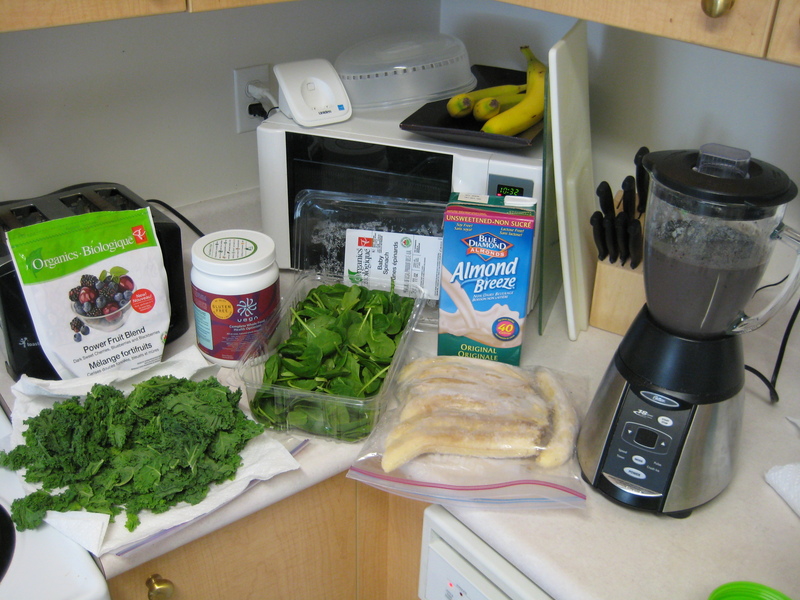 Recently I’ve started adding greens into my smoothies. You can not taste them at all and it’s also a great way to not only get your greens, but use up whatever you have in the fridge! Usually my smoothies include Vega One (formerly Vega Whole Food Optimizer), which is a plant based nutritional supplement. You can put whatever fruit, etc. into the smoothie and it always takes on the flavor of Vega One. 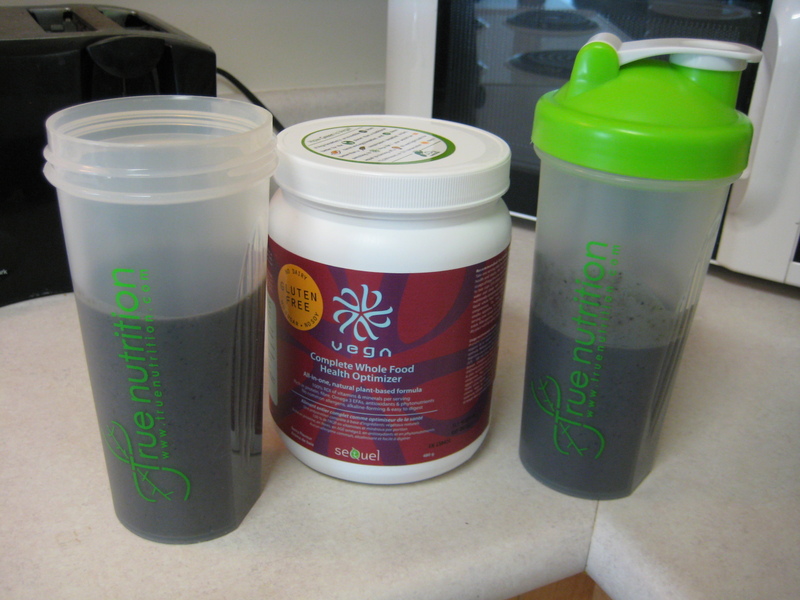 Meaning you could probably put a ton of greens in the smoothie and it will still have the Vega One flavor. I also put things such as cooked oats, flax and sometimes natural peanut butter in the smoothie also. So experiment with whatever you have!